Since today is the first day the rest of the city should be back at work/school, I figured I'd venture out and run a few errands in relative peace and quiet. However it's -20C plus windchill so nope, staying in to finish reading The Snowflake (and studying the window frost from the warm side of the glass), mebbe watching newly-acquired Death in Paradise series 4 DVDs and doing more knitting (winter wardrobe growth is always most appealing on cold days) instead. Have been making progress on The Null Hypothesis when I needed a break from binge reading the Witcher books; portion indicated by green line has been added since I dug it out last week. 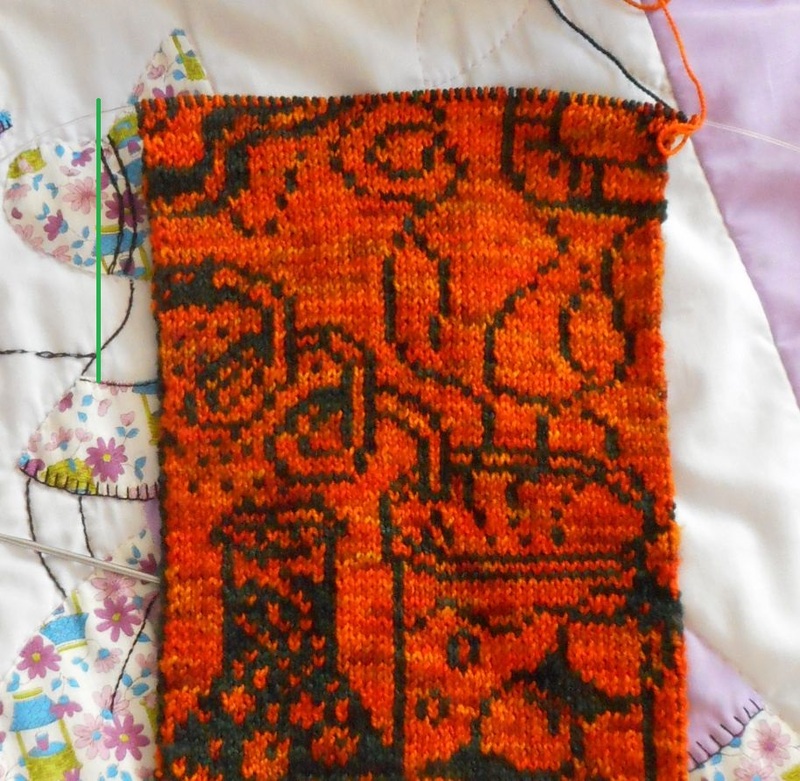 Might not look like much but doubleknitting a non-repeating pattern is slow work (a repeating pattern can be memorized while this one requires checking every stitch on the chart to see what colour it has to be). Even so this green line-marked segment = 6% of the total length of the scarf so I'm calling it significant progress.